Saturday 8th July the Apostolic Nuncio, H.E. 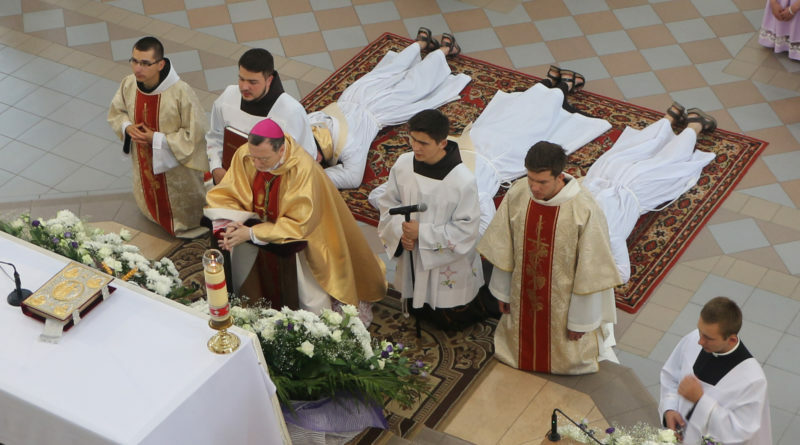 Archbishop Claudio Gugerotti ordained to the priesthood three deacons from the Ukrainian Province of the Order of the Minor Friars. 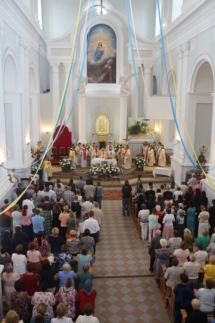 The solemn celebration toor place in the Church of Saint John Dukla in Zhytomyr. The newly ordained priests are fr. Symon Baydatskiy, OFM, fr. Bonaventura Khomitskiy, OFM e fr. Serafym Polischuk, OFM. During his homily the Nuncio exhorted the deacons which were being ordained to be like the Good Shepherd and to follow the Franciscan charism by walking “with the sandals” to meet the people of God.